Thank you so much for all your assistance! This was my first time shipping a car and was very skeptical for all the things I've heard and read. I appreciate your honesty and great service! The bells are ringing! School is officially out and summer break is here! Students from pre-school to college are closing their books and planning their new adventure for their summer, whether it s a part time summer job, a trip back home or going overseas to a new country, this is the time most of the transportation occurs in the United States. Families plan their vacations, old friends meet up again, and people spend some time off from their jobs to simply relax. Weather conditions are great throughout the whole country, the sun is shining and many people hit the beach or any water area to cool off and have a good time. 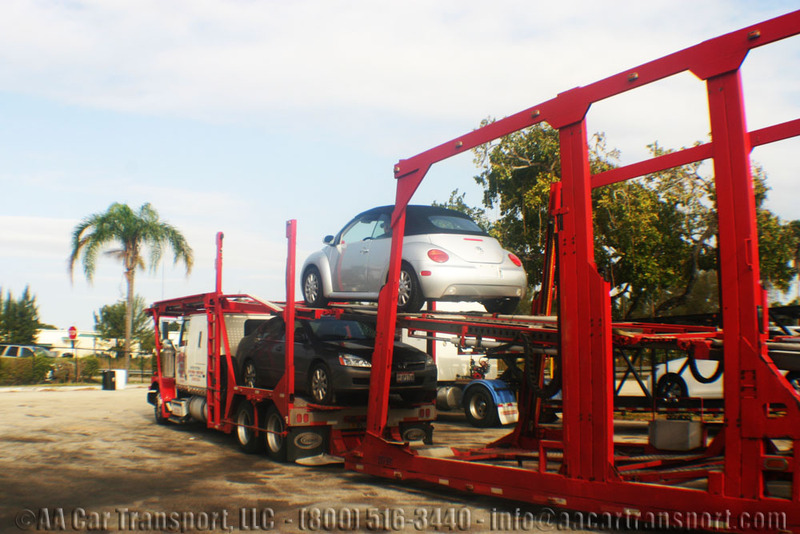 Summer time is the time for almost anything and it because one of the busiest times in the car transport industry, many customers look to ship during this time, however sometimes are stuck in the dilemma of either to make a road trip or hire a transport service. A few things you must consider in order to make the decision whether to drive or hire a service are the distance you’re going, the flexibility of time in your schedule and price. Transporting during summer can be a little hectic due to the high demand, however if planned in advance, it can be a very smooth and hassle free experience. Before booking a transportation service set your budget, be realistic about it, don’t expect to move your car cross country for $400, you will be waiting for a long time. If you have no idea what it could cost, start shopping around, with at least 5 different companies. Don’t automatically choose the lowest rate; low rates come with hidden fees, poor service and no guaranteed pickup. From the price scale you receive, usually head towards the middle or higher prices, from that information you can determine also your budget and what it could cost. At this point you can also start making a decision whether you want to ship the car or drive it yourself. Once the decision has been determined and shipping your car is the answer, throw away the low quotes and stick to the higher quotes. Now it is time to put your research skills and start checking reviews and how reliable each company is. With the internet now, it is very easy to check on reviews and see what customers think and have to say about their car transport experiences. You can also talk with the agents and ask as many questions as you need. If you notice they’re unwilling to provide information or simple put you off very fast, don’t expect much from a bad customer service. Alright, so you have chosen your transportation company, now you need to set your requirements and needs in order for your agent to provide the service you need. First of you need to determine your schedule and flexibility. Determine your deadlines and availability. 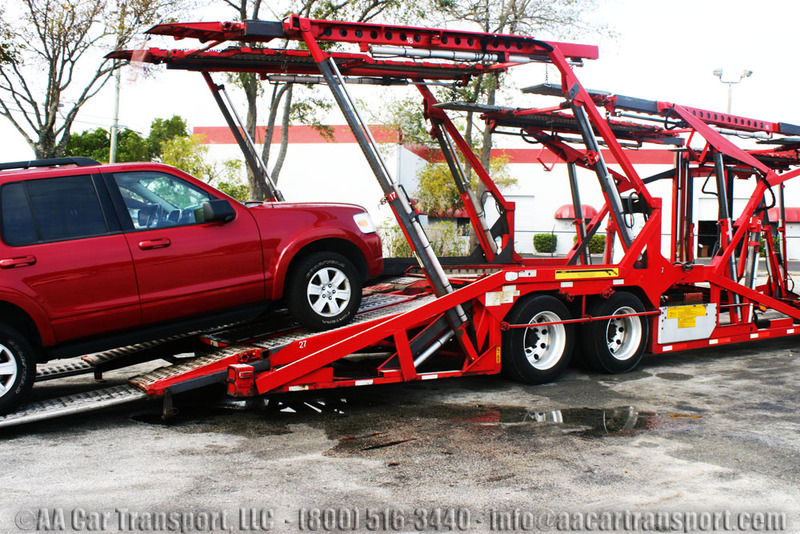 Be reasonable and understand that your car is one of many that will be mounted on the same carrier for the same route; therefore personalized single service is not a possibility. Carriers try to accommodate to your needs as much as possible but will not compromise the safety of their carrier or other cars only for unrealistic expectations. Dates are determined; you have your flexibility window, now start describing the make and model of your car as well the year and any modifications done to it. Bigger cars are heavier and take more room; therefore, transporting it will cost more, so if you are shipping a large SUV or a van, be prepared. 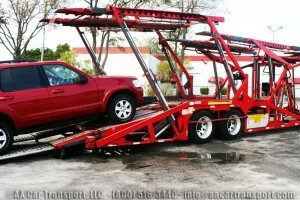 One of the most important things is to notify your agent if your car is in running conditions or not, don’t worry cars are not driven or rolled to their destination, however, if the car is inoperable the driver needs to be prepared with the proper equipment in order to mount it to the carrier. If you fail to communicate this “minor” detail to your agent and the driver is surprised when he arrives to pickup location, be sure you will pay an extra fee or even have a cancellation. This is your responsibility, so make sure you include operating details while you are booking. Another detail that describes your car that is very important is how full the gas tank is, some companies don’t require gas tanks to be emptied down to 3/4, yet some do. Make sure you check with your companies requirements. So now the schedule is marked, a full description of the car has been provided, it’s time to make give the locations. Where your pick up or delivery address is located, influences greatly on how soon a pickup or delivery will be and how many days the car will be in transit, price also is affected by this factor. If a location is off route and the driver has to detour for over 150 miles to get to your destination the fee will be higher. Remember he not only has to go in over 150 miles to deliver but he also has to return in order to continue his route. Advise your agent if either location is within gated communities, narrow streets, or has closed curves that can prevent the carrier from getting to its destination, if this is the case, the driver will have to meet at the nearest open area in order to safely download or load your car. Once all the booking details are provided and have been set, it comes time for a payment, here is where many customers get ripped off and where all the horror stories commence. Reliable companies simply will request a signature with no fees, no credit card on files or no deposits, only until they have a confirmed driver. Only once the driver is confirmed, payment is required. If you are booking a transport service for a few weeks from now and agent asks you for a credit card to keep on file o a deposit to start working, be skeptical, not all companies will take your money and put you in the back burner, however, if you can avoid it, then do. Once all these points have been taken care of and all details have been determined, simply sit back and enjoy the experience!